We invite you to join us for an exceptional Aikido experience. 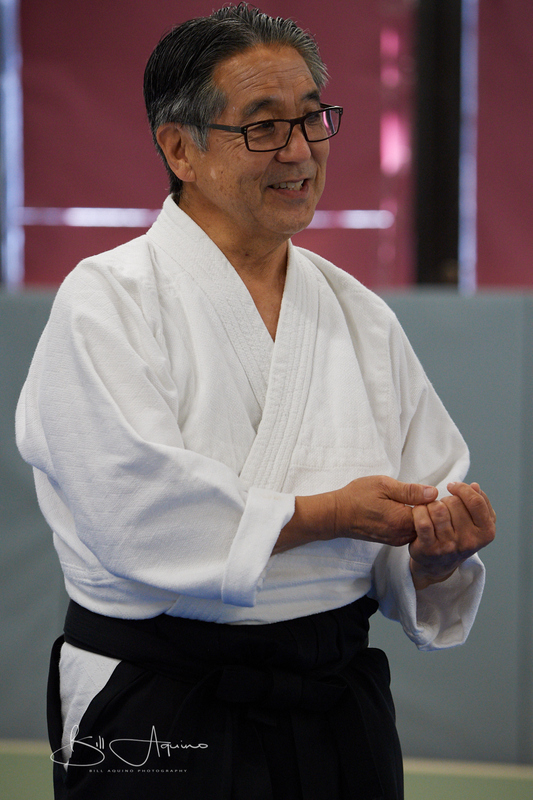 Certain teachers simply radiate joy from the moment you meet them; Goto Sensei is one of those teachers. I have never seen people happier to be locked into juji garame or thrown through the air as I have at a Goto Sensei seminar. Hans Goto was among the first Americans to uchideshi in Iwama, Japan under Morihiro Saito Sensei. He brings over 40 years of martial arts experience and fascinating stories of living and training in Iwama. He is the President of the Takemusu Aikido Association and the founder and Dojo Cho of Bay Marin Aikido in San Rafael, California.